We are pleased (but not for all of course!) that our Working as an Online Interpreter Workshop scheduled for Monday 31st October, 2016 is now fully subscribed. We are now planning additional workshops to take place in the East, North East and Highlands starting early in the new year. 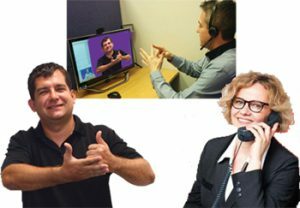 As we know technology is forever advancing as with access to civil and civic society for Deaf BSL users similarly increasing – technology is now playing an important part for accessibility and equality for BSL users – with video interpreting now with us as part of everyday life/living (opposed to being there in the future!) And it aint going away!! !